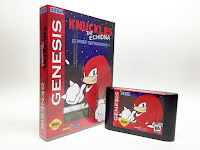 Radd Repro: Retro ROMhacked Reproductions: Knuckles in Sonic The Hedgehog? Wanna play as Knuckles in the original Sonic The Hedgehog? Now's your chance!